The Pinery at the Hill is one of the newest, upscale wedding venues in Colorado Springs. Located downtown, it's known for its view of the city to the east and the mountains to the west. 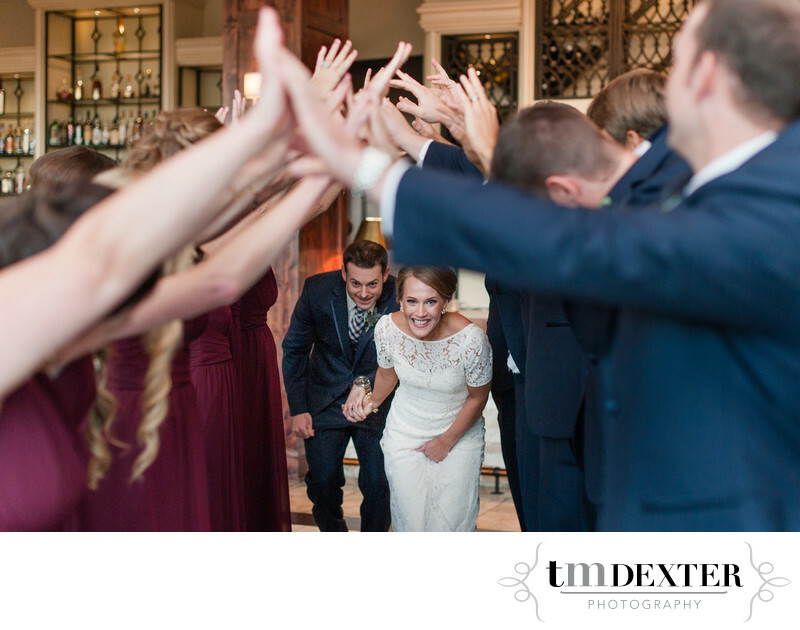 This photograph is from Amanda and Ryan's October wedding at the Pinery at the Hill. Tyler captured it right after the happy couple's grand entrance into the reception. I love the joy on Amanda's face in this photo! Receptions are usually the part of the day when the bride and groom can finally relax - a chance to sit down and enjoy the friends and family around them and celebrate! We are honored to be preferred partners with the Pinery at the Hill, so if you're planning wedding at this incredible venue, make sure to contact us to find our more about a special offer we have for Pinery couples! Location: 775 West Bijou Street Colorado Springs, CO 80905.